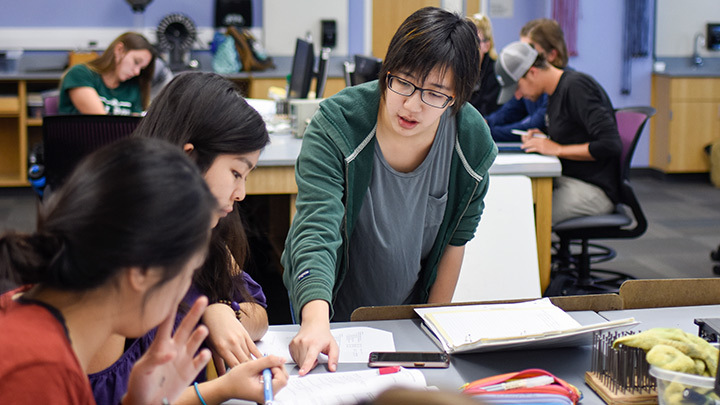 Physics Learning Assistants help their fellow students grapple with the concepts of physics. Along the way, they get an education in the technical aspects of teaching. 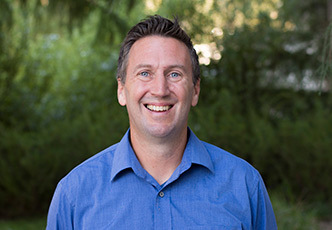 New department chair Karl Saunders looks at Cal Poly's connection to the wider world of physics and gives some highlights of student-faculty research. Professor Stephanie Wissel received the National Science Foundation’s most prestigious award for new faculty, only the fifth Cal Poly professor to earn the honor. The international team that developed Project Jupyter received one of the computing world's top awards. Past recipients include the inventors of the World Wide Web and the UNIX operating system. 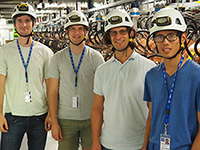 Themis Mastoridis and his student researchers are helping to upgrade CERN's Large Hadron Collider. Their computer models will help optimize the number of particle collisions, possibly increasing the number tenfold every second. 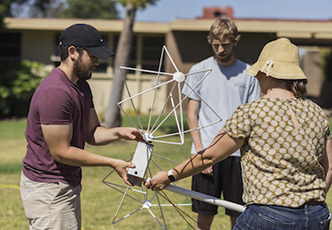 Cal Poly physics faculty make significant contributions to fundamental and applied knowledge about the world and the universe. 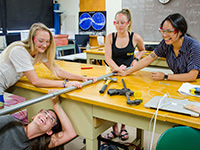 Undergraduates explore, experiment, publish and present alongside their faculty mentors, creating a vibrant learning environment.